Hi guys, sorry about the lack of activity around this parts. 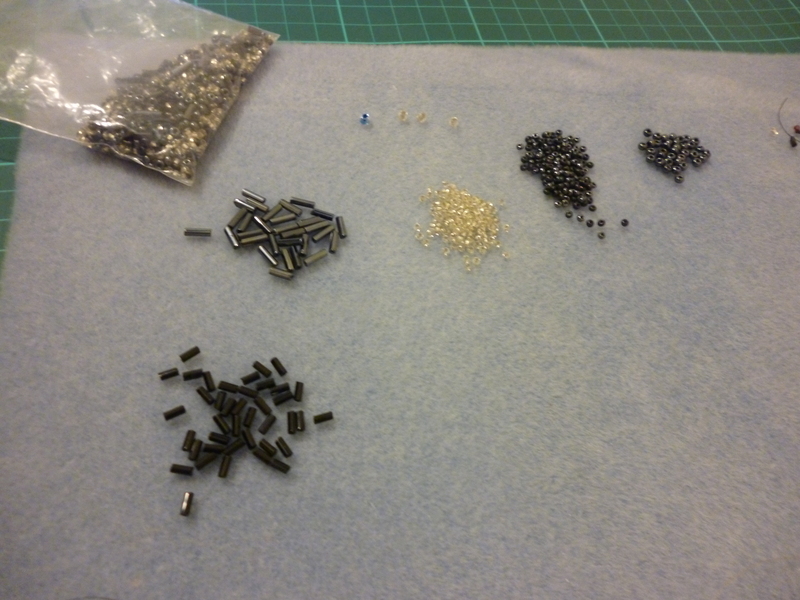 I started up beading recently which takes up a lot of my time, and I’ve been going all over the country as well so I’ve not done much. Finally, I can share something! 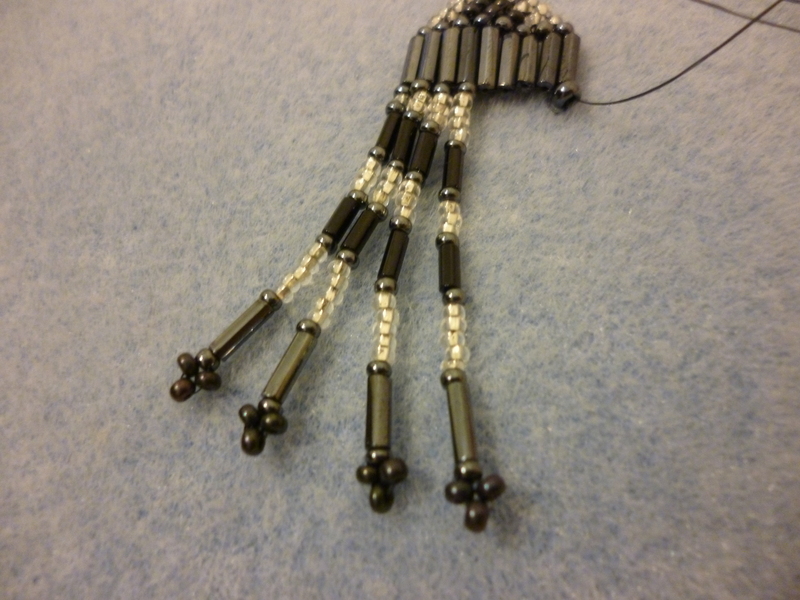 Here is an excellent tutorial by Beadaholique on how to make brick stitch and fringe earrings. I followed this tutorial for my earrings, but it’s quite simple with knowledge of stitches and pictures. The first part is ladder stitch technically, followed by brick stitch. 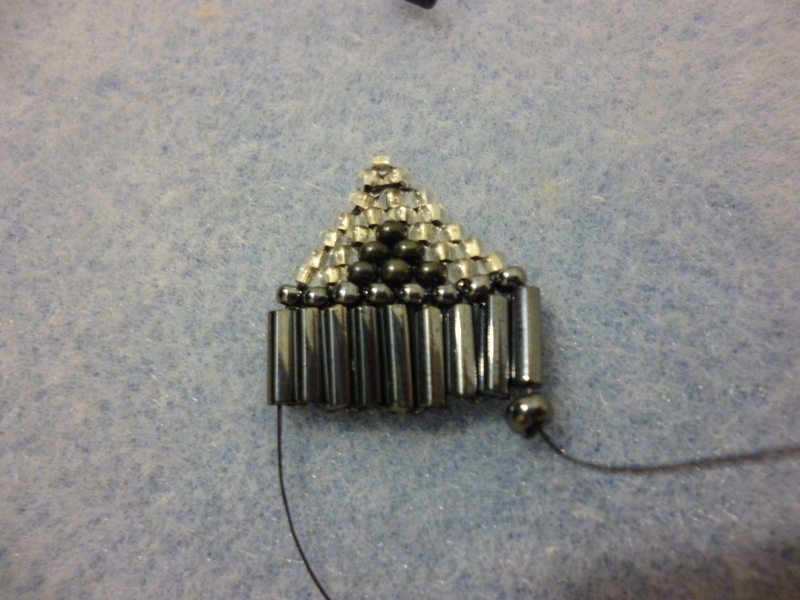 This gives you the pyramid shape at the top of your earrings. The fringe itself is pretty straightforward. Just make sure the thread isn’t visible at the bottom of the strands. 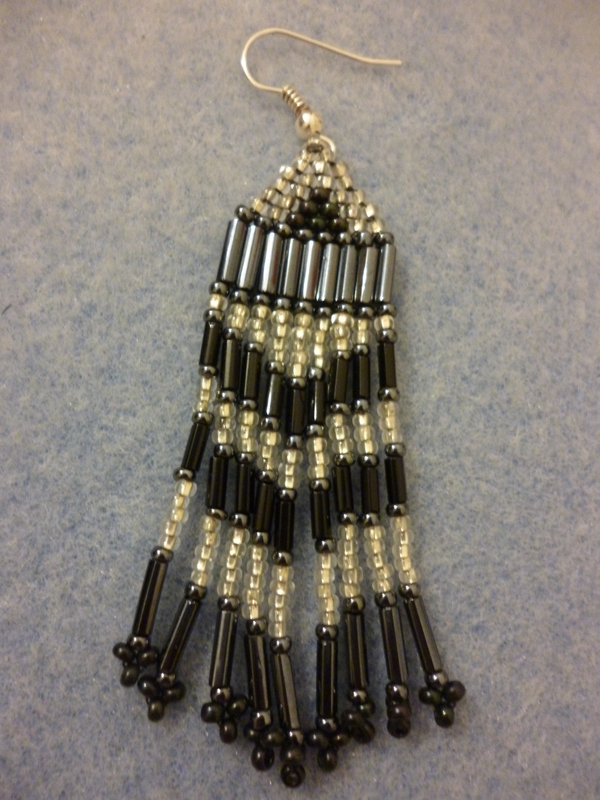 I like the silver and black colour scheme, and this pattern can be adapted to others of your choice. Here’s to my quest to learn more beading stitches! 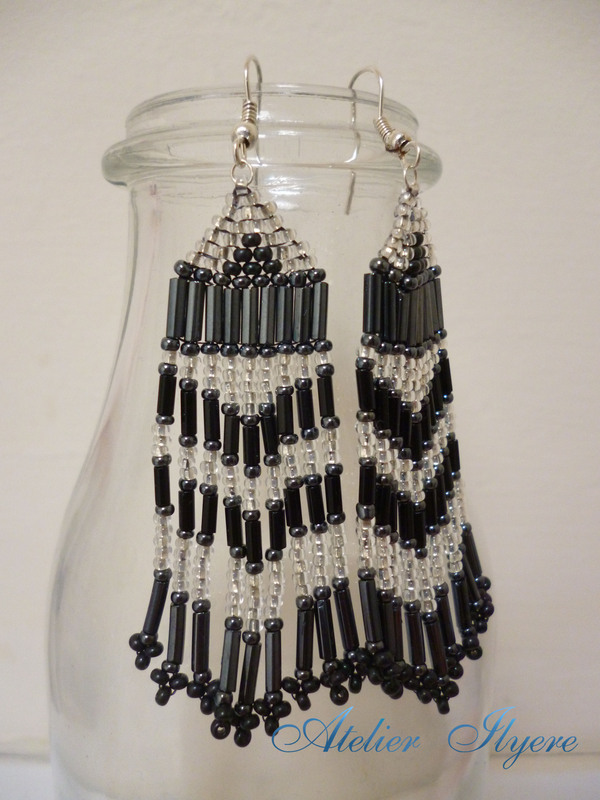 This entry was posted in Beads, Earrings, Jewellery, Process, Thread and tagged Beading, Beads, Black, Brick stitch, Clear, Earrings, Fringe, Silver. Bookmark the permalink.